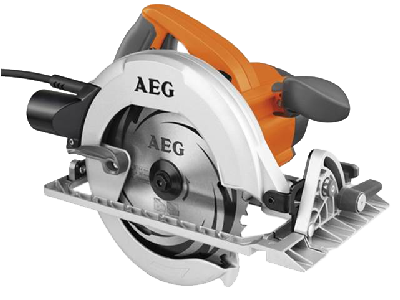 The A.E.G OKS66 is a powerful circular saw with a 1,600 watt motor and a 66mm cutting depth. It has the most up to date ergonomic soft-grip handle design.This A.E.G circular saw is light, handy and ideal for any cutting application. It features the A.E.G magnesium upper and lower guard that offers lightweight, high strength protection. It also has a 56 degree bevel capacity, 45 degree positive stop and full length kerf indicator for accurate cutting. It is ideal for various cutting angles and applications.The A.E.G KS66 circular saw has increased cutting performance and a longer saw blade life which enables you get the perfect cut all the time - every time.